Jen, will be known to many who have holidayed or spent nights out in Karon Beach, as prior to taking on the project which has become the Chalong Fishing Park, she was the cashier at ever popular Jack’s Bar. Jen and her partner have have worked exceptionally hard over the last year to bring to Phuket the premier attraction which is Chalong Fishing Park. As the park matures and settles their hard work will undoubtedly pay them good dividends offering an amazingly relaxing venue for fishing or just plain chilling out. Do you see any similarities to the “Big Boss”? You should as Wii is Jens, sister. 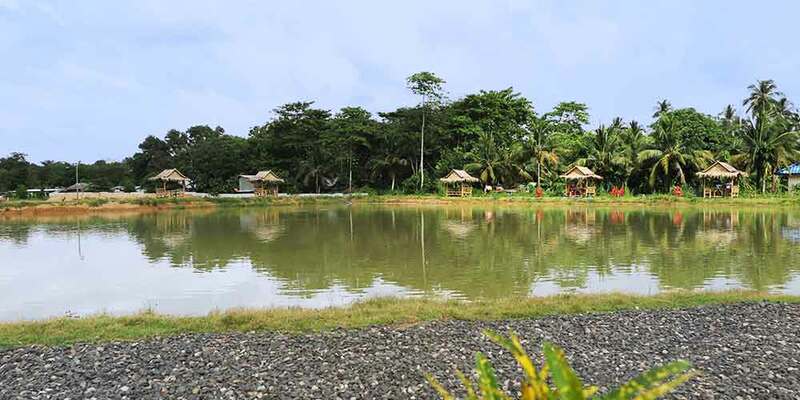 In true Thai tradition Jen reached out to her sister with a call for help when she began to staff Chalong Fishing Park. Wii immediately came to help and help she does. She is a little shy as her language skills are still developing but Wii is a grafter and you will always see her busy doing something. She operates the bar, helps with the cooking , tidies and cleans. She is that key member of staff who is always on hand to help out no matter what is needed – a proper little “Super Star”. 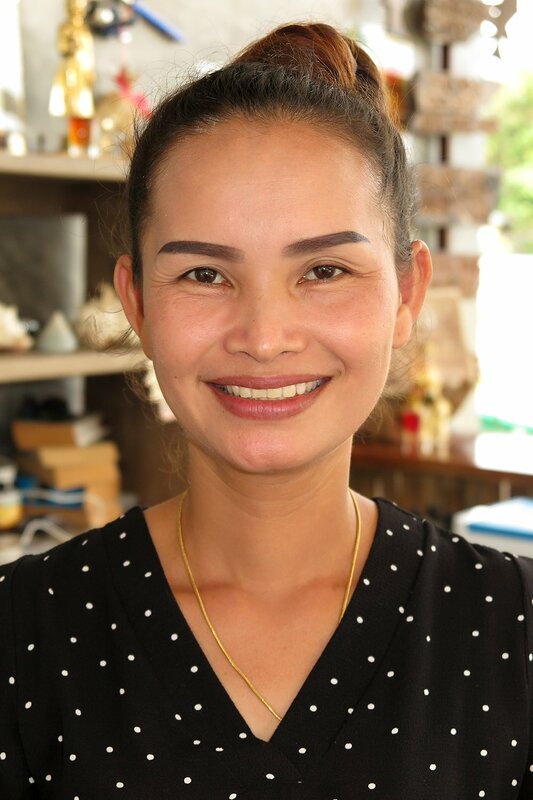 Sert may well be known to many who have spent time in Karon Beach as she has been a cook in a number of popular local restaurants including Chilli Pepper and Living Room. A wiz in the kitchen, she is a skilled cook of Thai food and well accomplished at “Farang”dishes as well. Forever popular Boy was the first member of staff taken on at Chalong Fishing Park. Boy has been around Phuket and in particular Karon for some years. He is a hard worker who speaks good English and always is ready with a smile and a joke. Like most Thai’s, Boy has any easy manner and he has a great relationship with all the customers but especially with the kids. With them he pulls out all the stops to help them enjoy their day to the fullest. He will teach them the best way to fish and also help them when they get a fighter. Boy, is now developing the skill of being able to tell what breed of fish you have on the line by the way the fish begins its fight. Test him out and see if he gets it right or wrong. Either way it will end up with everyone laughing. The last one to join The Chalong Fishing Park family Ott is slowly coming out of his shell. Like Wii Ott moves around the park with little fuss and certainly no fanfare. Not yet as accomplished as Boy he is taking to the job well and learning on a daily basis. Always willing to help and please Ott will certainly help you enjoy your day fishing. Wish you well guys and hope you see the place coming to what you imagined it to be. take care of the environment and look after the setup and your customers and i am sure the word will spread around quickly. It is always great to see people seeing their dreams come true. Hope to see you there mid April to catch some fish, :-).